I forgot to take a photo again yesterday, but will catch up with two today! 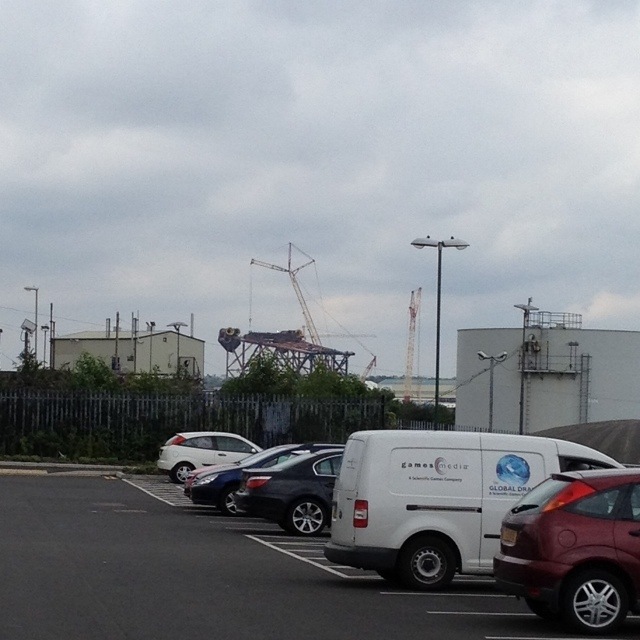 This first one shows a big industrial apparatus that I pass every day in South Shields. I mean the big thing right in the middle of the shot. This was about as close as I was able to stop to get a photo. It looks quite fascinating, but I’ve not a clue what it’s for. If you’re cleverer than me and know what it does, please let me know in the comments! This 1,760th post was filed under: Photo-a-day 2012, South Shields.